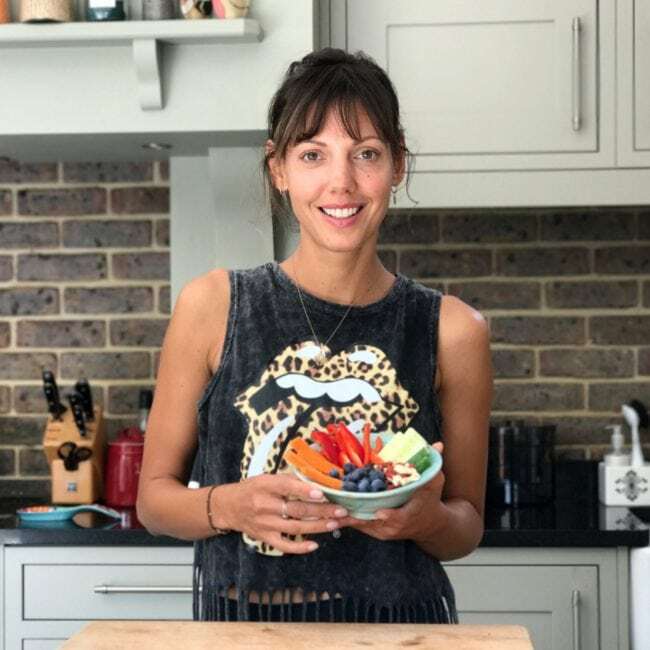 If you’re looking for a healthy, easy mid week recipe that is totally versatile then try my curried edamame veggie bowl. I am always encouraging our children to try new ingredients or even different cuisines and for some reason we’ve not yet tackled a proper curry, although I’d love us all to pop out to our local curry house on a Friday night to enjoy some of the amazing Indian dishes. 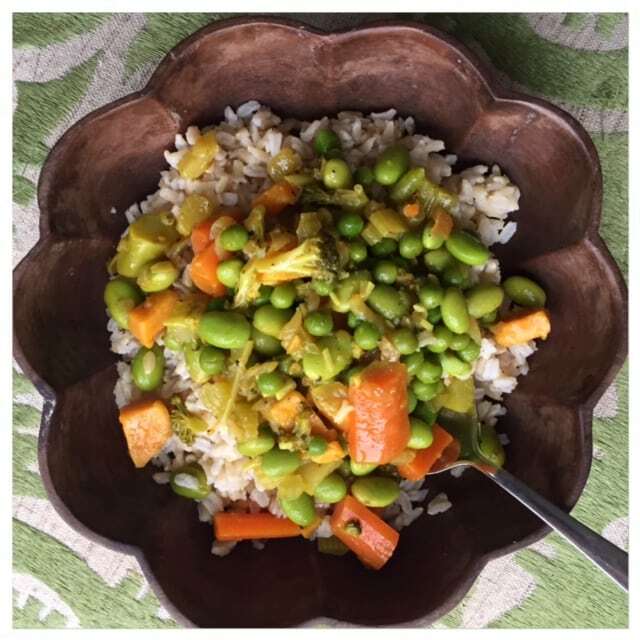 In need to use up some leftover veggies and to work our way towards a proper curry I’ve created this curried edamame veggie bowl and it was a real hit with the kids and us! I’ve had carrots and broccoli to use up and it makes for great colours with the peas and edamame beans, but most veg will work well. This dish contains enough of all the main nutrients that we need and as edamame beans and peas are a great source of plant based protein it doesn’t even need a side of fish or chicken. Although you could serve this with some grilled chicken on the side or even cook some chicken pieces with your curried veggies. A dish full of fibre and vitamins – we had ours with fresh chillie and a little bit of a mashed up avocado on the side. A perfect bowl of yumminess enjoyed in front of the fire! Start by washing the rice and cook per instructions. In the meantime, heat up a pan and let the coconut oil melt. Sautee your finely chopped onion until soft, add your minced garlic and cook for a couple of minutes. Add turmeric, all the fresh veggies, pour over about half of the tin of coconut milk and stir in 1 tsp of veggie stock powder for some extra flavour. Season and cook for about 15 minutes until all vegetables are al dente, so not too soft. Add your frozen peas and edamames (or just one depending on what you have in the freezer thhat day) and simmer for a few more minutes. Add more coconut milk if you want to make it a bit more creamy or perhaps you want to add a dash of water to make a bit more sauce up.